Switched Mode Power Supplies are found in the category Power Supplies and are designed to provide an optimum power source for sensors and other electronic components. 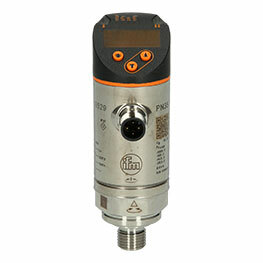 They have a high efficiency and convert a non-stabilized input voltage into a DC voltage at a different level. It is irrelevant whether the input voltage is DC or AC voltage. Applications for switched mode power supplies are typically found in control cabinets and electrical panels of all kinds. Automation24 offers you numerous options for switched mode power supplies for a low price. This can only be achieved through a focus on offering products from specialists for switched mode power supply units such as Weidmüller. The offered range of switched-mode power supplies includes a rated input voltage of 85 to 277 V AC, or 80-370 V DC. The nominal output voltage provided is 24 V DC. 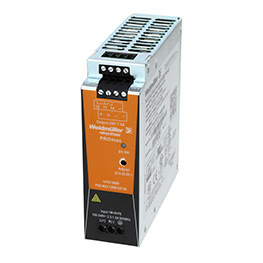 We can offer you power supplies from Weidmüller exclusively from the series PRO ECO, and PRO MAX. The switched mode power supplies such as the DIN rail power supply 1469510000 - PRO ECO 480W 24V 20A offer high efficiency as well as low idle losses. The PRO MAX series to which, for example, the DIN rail power supply 1478140000 - PRO MAX 480W 24V 20A belongs is capable of handling continuous overload or transient peak loads with ease. With start-up temperatures down to –40°C, the power packs prove to be especially robust. The output voltage can be adjusted from the front. Thanks to the UL approval, worldwide use of these switched mode power supplies without obstructions is possible. At Automation24 you will find a wide range of switched mode power supplies at very reasonable prices. Select the right power supply unit (PSU) for your application today!